This neat, family friendly home is positioned on a manicured 304M2 (approx.) allotment in an accessible Carrum Downs location. Featuring a highly demanded Layout this property boasts three bedrooms, two bathrooms, large living zones and fantastic indoor to outdoor living flow. 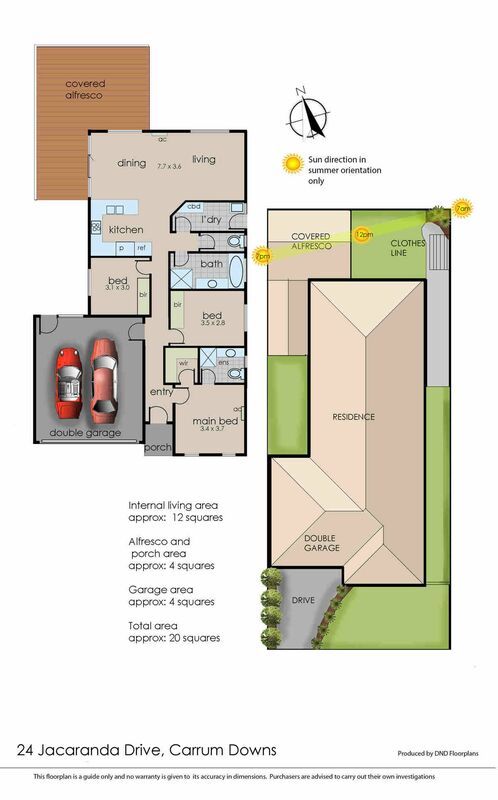 In a prime positioning and being close to all amenities such as Carrum Downs shopping center, Banyan Field Primary School, Local reserves and local beaches this highly sought after property represents an opportunity to capitalise on a functional home that doubles as a rock solid investment. – Three spacious bedrooms all inclusive of built in wardrobes, with master suite positioned at the front of the home, showcasing large walk in wardrobe, Air-conditioning and en-suite. –A well positioned central bathroom, services a further two bedrooms and boasts separate shower and bath tub. – An open kitchen/dining area showcases low maintenance tiled flooring, ample cupboard space, gas cook top, stainless steel appliances and flows seamlessly to the family dining zone. –Large light filled family dining area flows seamlessly to a large carpeted living zone ideal for entertaining. –An impressive covered decked outdoor entertainment area extends from the rear of the home and is accessible via sliding doors from the dining area. –Separate laundry and toilet are positioned to the wing of the home and offer easy accessibility. –Single lock up remote garage and well maintained rear yard. Whether you live locally or commute to Melbourne via the nearby Peninsula Link, this home offers a lifestyle of convenience and comfort. Invest in confidence and bank on the returns of LAND, LIFESTYLE and the best LOCATION. Note: If property is being purchased in a company, Trust or Superannuation fund, please include all authorised persons. Email copy of offer to me?